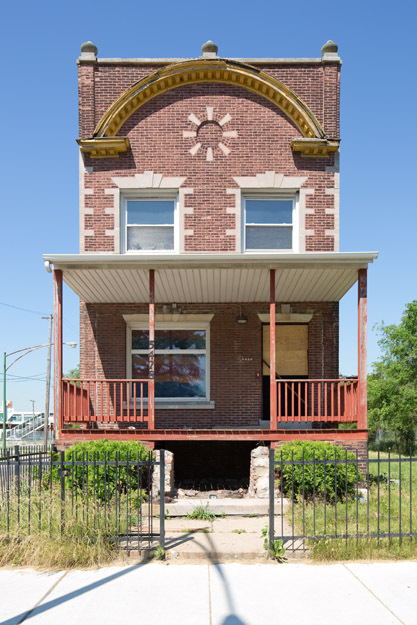 Gapers Block - To be Demolished: 5428 S. Dr. Martin Luther King, Jr. Dr.
5428 S. Dr. Martin Luther King, Jr. Dr. Despite Eagle Bio-Mass being listed as the owner of this property, the demolition company acknowledged that another company owns the building and is responsible for the demolition. The building has been occupied until recently, and the only recent 311 listings are for garbage cart replacement on June 20, 2011 and July 5, 2011.